For advanced economies, innovation has proved to be the only way to improve productivity and hence generate wealth. For India, innovation for productivity improvement is a given, however, it also needs to focus on employment generation on a massive scale and wealth redistribution/circulation. The central problem haunting our nation is that of employment, one can almost reason all the issues the country is facing to that of employment and hence employability of our citizens. There are crores of people who are getting added to the economy, but very few are being added to the list that is employable and even fewer to the list responsible for generating the employment. 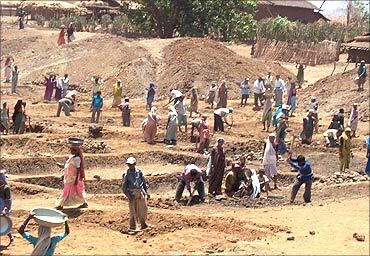 The government declared the NREGA (The National Rural Employment Guarantee Scheme) a couple of years ago, and one sees some certain signs of employment being created in rural India. What always has intrigued me is why is it that the salary of an individual working for say an Investment Bank is like 10,00,00 times higher than that of his counterpart working in the NREGA scheme! 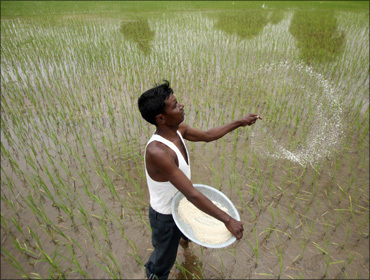 The world employment report 2009 states that - "Large-scale social protection schemes such as India's National Rural Employment Guarantee programme should help to offset the potential shock (of economic downturn) to the poorest. This is essential, as more than 46 per cent of workers were estimated to be living with their families on less than $1.25 per day in 2007, with an alarming 80 per cent living on less than $2 per day." It goes further and mentions .." increased productivity provides a key mechanism for poverty reduction, as the poor do not suffer from an absence of work, but rather from low productivity and the resultant low remuneration." Agriculture is a major employment sector even today; however, the economics of scale and cost of production has made it unviable, resulting in large scale employment dislocation and an ever increasing poverty leading us to a very important question - why is the per-capita income of the farmers so low? To analyze what drives salary (income), one is required to touch multiple aspects - first, the skills that enable the individual to complete the tasks along with those related to survivability in the job. Image: Agriculture is a major employment sector. The net value of the information chain determines the value of the information being transformed by the individual (within the chain), and hence the critical nature of the job. 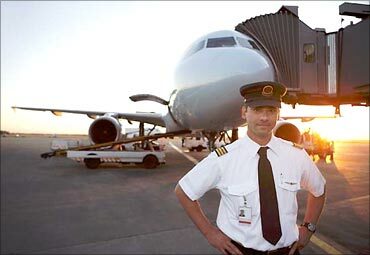 An example could be that of an airline pilot - the net value of the information that he transforms is very high, since, any wrong decision would put the lives of humans at risk. The demand (not in terms of the volume but criticality) for the skill required to work for an investment bank is very high while the supply is very low, resulting in very high incomes for those. While those in the NREGA scheme, the demand is not very high while the supply for that skill very high (compared to the demand). Investment banking is situated in a value chain that makes its position so highly critical that the demand for that skill shoots up, the complexity (hence criticality) of the skill is very high and the supply for the skill is very low (due to inherent complexity of the skill). The job of the mathematics professor is also very complex, and hence one needs a very high degree of intellect to manage the job, but it does not mean that he/she will earn as much as the pilot, since the requirement of the value delivered by the mathematics professor is not part of a value chain (economics) that drives the kind of salary that he/she gets. Complexity of the task does not necessarily drive the economic value for the skill. It is where the skill is used, the economic (information) value chain, that broadly determines the economic value of the skill. 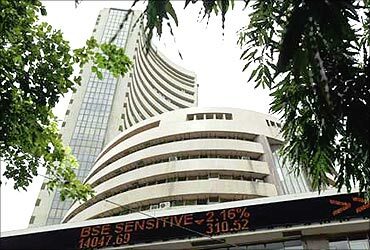 Stock market is a place typically for the affluent in the society - people who have a lot of disposable income. So if rich people are going to trade the product, naturally, the net value of the commodity is going to be high, irrespective of the demand/supply of the commodity. So even if a very few people have the demand for the product, the value of the product is very high - simply because the people who have the demand have a very high net worth. I have personally witnessed this in India - for the same product if you go to different cities in India, the price is different (though the net demand/supply for the product is the same after nullifying the effects of state wise taxation etc). At the Bangalore International Airport one plate of Idli is priced at Rs 100! Axiom 1: The salary (hence the per capita income and wealth generation) is a function of demand, complexity of the product, economic value chain, context (driven by the net worth of the individuals who have the demand) and Supply. So what exactly does innovation have to do with all of this? If innovation has a role in employment and wealth generation then this axiom will form the basis for innovation in India. Axiom 2: A marketable innovation is essentially about creating a disruption in the economic value chain for any given need. Innovation generates whole new value chains, and hence requires new skills to deliver on the innovation, or the business that is set-up around the innovation. It creates an opportunity landscape, for new individuals to quickly understand the trade and participate in the business. Some innovations require management of highly complex jobs while some don't. The complexity of the job again drives the supply side of the skill. If the innovation does not require highly complex skills to deliver, it scales up rapidly but also results in new entrants entering the business if it is seen profitable to do so. If the need (market size) is very large then any addition of the suppliers does not greatly disturb the skill demand. However, if the market size is small, then new suppliers bring down the overall price of the value delivered, and hence pull down the salaries of the individual who are involved in delivering that value. Nonetheless, there is definitely a period during which the individuals who possess those skills demand a premium on their salaries (irrespective of the complexity of the skill, complexity only adds to the income). 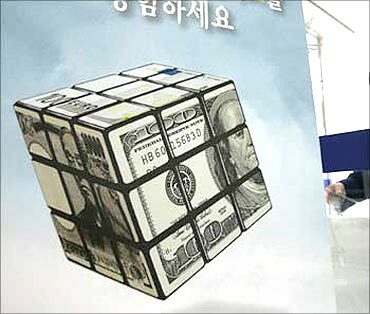 Image: Innovation for wealth generation. 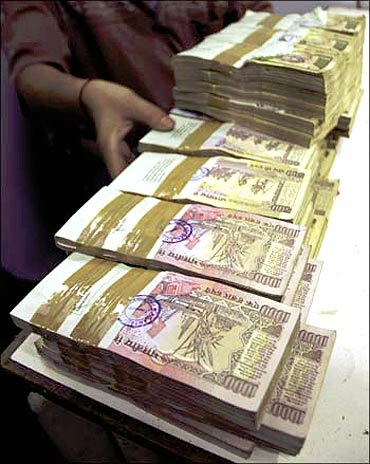 Axiom 3: The one thing about money is that if there is 1 additional rupee/dollar of wealth getting generated in the ecosystem then it first goes to the richest person in the ecosystem, then it goes to the next richest and then if enough wealth is created the poorest get it (through trickledown effect). This is the law of money. One cannot change it. The majority of the stock holding in the world stock markets can mostly be traced to a very small percentage of the world's population, with the rest of the wealth moving downwards in the form of salaries. The world's wealthy club is a closed circuit, with the world's wealth mostly getting exchanged between the members of this club, on and off few get added and few removed from this club! Very rarely, value is delivered by members of the low income group to members of the high income group, primarily due to lack of understanding of the nature of demand of the high income group. What one can't see, one can't develop. In the former case where value is delivered by the members of the same group, the economic movement is restricted and wealth does not get redistributed. Image: World's wealthy club is a closed circuit. In the latter case, when value is delivered by the low-income group to the high income group (for a demand that requires fairly complex skills), wealth will get redistributed in a massive scale (at least partially). The fundamental issue is that the low income groups do not have necessary skills to deliver value to the high income groups and hence wealth generated in the ecosystem tends to get concentrated in the high income groups. Adam Smith's model of capitalism assumes fair playing field and survival of the fittest, which results in an invisible hand that drives the ecosystem for a broader well-being of the society. According to me, capitalism, in its current form, does not create an even playing field (I don't think it should either), even if one is fit to survive, he/she cannot survive due to inherent concentration of capital/wealth (the context). The day one is born, he is born in the context of a wealth group that prevails in the society on his birth, and he has to start from that (disadvantage) point, one should see this as a hard fact and work on it. It is often said that - "one should grow/scale-up organically" - this is a statement fit in the books of management, not something that is applicable in reality - capitalism only rewards the winner (it is a winner take all system) - the second and third in the race are eventually removed from the system - there is no choice but to reach to those who own capital to grow the venture, to be a winner. The very fact that it is a winner take all system makes it efficient. Humans have needs rising out of the desire to satisfy their requirements for living both basic (food, shelter, clothing, health, education) and advanced needs (car, mobiles, cosmetics) and all forms of advanced desires (exotic food, exotic shelter, exotic clothing etc). Axiom 4: Ownership (of wealth/capital) is a human characteristic, primarily arising first due fear of scarcity of resources satisfying the basic needs and later to live a comfortable life and finally due to the desire to gain power. The degree of this desire to own will be different in individuals but it will be present nonetheless. That is a law of human desire. Collective ownership hence state ownership (the socialist model) is a myth, and a camouflage for some to gain power through these means. Creating an opportunity, an even playing field/landscape, for all individuals to create and own wealth should be the goal of the society (state). Axiom 5: One has to be innovative to find the appropriate demand and deliver value, to break into the high wealth concentration points. However, it is interesting to note that innovation necessarily is not the only route to wealth creation but it is definitely a route to wealth redistribution. Bank employees are perhaps the lowest on the innovation scale because of the nature of the business (in the past 2 years one has witnessed as to what happens when Bankers get innovative). However, bankers enjoy the kind of money power they have because their business begins with full pockets. 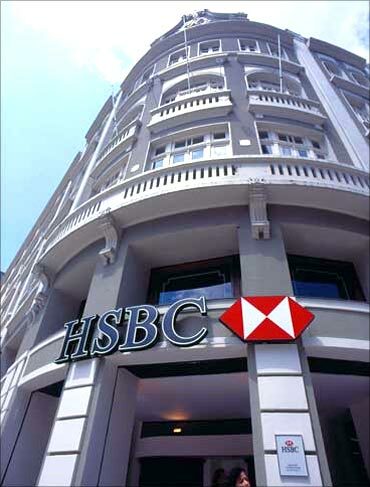 Smart conservative bankers do not venture into business areas they do not understand. 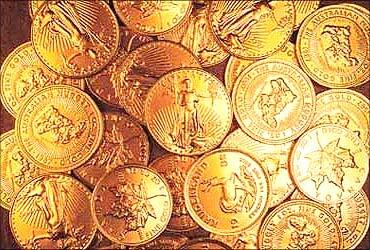 So it is safe to assume it is not necessary for one to be innovative to create wealth. Most do not enjoy that kind of power and money clout to begin with. The innovator is relying on creating something so useful that people automatically get attracted to the innovation, and wealth moves in his direction. Axiom 6: Innovation is one of the fantastic tools for the members of the medium and low income groups, to trigger the wealth generation (redistribution) process. So the innovator has 2 objectives - to innovate and also create wealth (through increased demand). We also know that an innovative idea making it big is few and far between. The smart thing for one to do is to innovate in an existing market segment where there is an acute supply for the given demand and where her innovation can be quantified in terms of economic value delivered. Working on innovations that has a natural buyer should be the goal, so that the complexity of selling is reduced. Creating a market for a given innovation is only a "rich" innovator's game; for the rest of the innovators it is about finding an existing market (demand) and providing better solutions, due to the sheer amount of resources required to create the market - information inertia is so high - that pushing the innovation to the market becomes a function of the availability and access to capital. I would personally say, that marketable innovations that increase the total employable workforce in the society and that generates the skills that deliver high value (refer to Axiom 1), are the ones that the society should encourage the most. 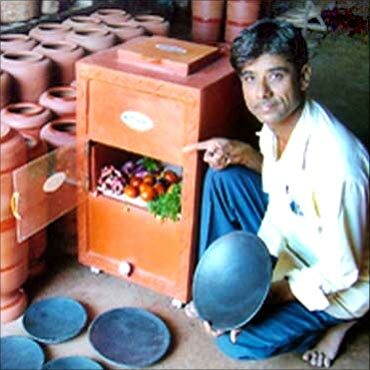 Image: Mansukhbhai Prajapati with his innovation, Mitticool. Innovations where the number of people required to deliver the innovation is not very significant, and more so if it is in the value chain that is mostly closed within the community of high net worth individuals, should be given a lower priority. 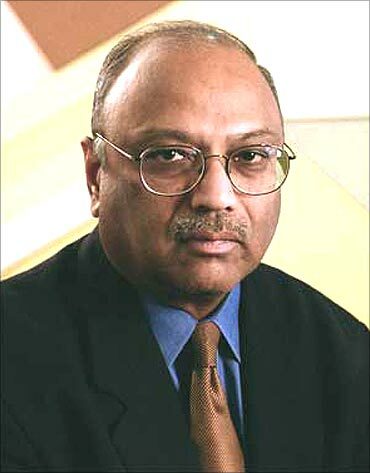 In the book, Fortune at the bottom of the Pyramid, C K Prahalad provides an elaborate framework for creating wealth based on the needs of the members of the low-income groups, positioning them primarily as consumers (buyers), this book was directly mainly at MNC's to encourage them to innovate products for the low-income group. For young entrepreneurs, getting venture fund for ideas that target the low-income groups as buyer can still be seen as a text book illustration, and not what is seen as something common. The entire venture capital industry is skewed on investing in ideas that have a very high ROI, and do not focus on the social aspects of the innovation. Even if there could be 1 million farmers who would be potential buyers and the innovation results in a very high demand from this group, the net worth of the buyer is a driving factor for the movement in the innovation capital to these innovations, though the profits could be demonstrated (it is not whether it is profitable, the key metric for venture investments is what is the rate of growth of the profits!). Hence, by and large, innovations are focused on the demands of the most affluent in the society, if the innovation requires members of the low-income group to deliver it, that is a bonus (since the cost of delivering the innovation reduces). Innovations necessarily do not increase employment (e.g. process innovation), they make the macro-economic system more efficient (increase overall productivity). Innovations in India should be viewed from a totally different angle compared to that of the western nations. The models that are applicable in western economies may not be applicable to ours. Axiom 7: The goal of Indian innovators must be wealth and employment generation. However, unless the innovation capital moves in this direction, such a possibility looks remote as of now. The innovation capital is currently aiming to make more Google type innovators, yes, this will generate wealth, the question is will it generate more employment? Even if the ecosystem (economical and otherwise) is made available the question remains - is there an inherent motivation for individuals to innovate? Our society is grappling with this chronic problem - individuals are more motivated towards wealth generation through routine jobs. Wealth generation through employment has been proved to be effective. However, wealth generation through innovation or entrepreneurship is still a long way to be acceptable. If wealth generation is not the motive, then one has to be a compulsive innovator which is not what is found as routine. The individuals in the society are driven by what the society rewards them - having a good job (with renowned brands), a house, a car etc is considered a dream in India as on date. Changing this mindset is a daunting task. Go to any college in India and ask the students what they want to do after graduation - very seldom the students will say - I want to innovate. Most will say I want a good (high paying) job with a renowned brand. Since, the entrepreneurship route is perceived to be risky both by the society at large and the near ones; the individual is discouraged to take any risk. If not immediately after graduation even after, a few years of a job, the individual is not mentally prepared to jump out of the job and create wealth on his/her own. 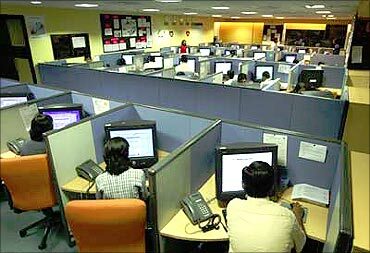 Image: Workers in routine jobs. The peer pressure on success is so high, that the fear of failure prevents the individual from taking any risk. The objective continues to be a higher position and a higher pay package in the company he/she works for. That's the picture of the middle and the affluent class. As one goes lower the economic chain, the pressure for survival is very high, and further due to lack of any innovation capital, results in absolutely no innovation. However, I have observed that the individuals from this economic category are more risk taking (due to compulsions rather than choice) and are hence entrepreneurial in nature. Most of them are self-employed. In India, being self-employed is considered to be a taboo; most would not get married if one tells that he/she is self-employed. Naturally one would ask why to innovate? The route to generate wealth is through jobs, there is no motivation to improve the system around and the society does not respect the self-employed (risk takers). So practically speaking we are stuck as a nation. On one side, there is a fundamental need for risk takers (and innovators) that would generate employment and on the other side there is a severe shortage of these risk takers/innovators due to lack of any societal or economical driver for the same. Axiom 8: Providing an ecosystem for the members of the high income groups in India may not generate the kind of innovators this country is looking for, since that is neither the aspiration nor a necessity for this group. Our nation hence, needs to take the broader socio-economic view while investing in innovation. Innovations that will increase the average income levels of the not so affluent should be taken on higher priority. Image: People are scared to take risks. These innovations should be funded irrespective of the value of the ROI generated from them. For example, if there is an innovation that increases the net farm productivity or helps manage water in the farmlands these must be funded. The innovators, who come from the lower income groups, must be identified and funded. 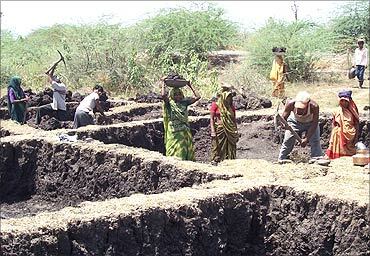 Innovations that generate employment at the local village must be encouraged. Village level innovation centers should be established all over the country that will take care of the demands of the local economy and create the necessary supply locally. Schools should have entrepreneurship cells, and should focus on developing entrepreneurs apart from formal education. Innovators who generate the products for the affluent, using the skills of individuals who are not so affluent (in large numbers), fits the capitalist model and will get privately funded (the buyers will drive the price upwards and the developers will drive the cost downwards). As of this writing, if there is a company that plans to set up entertainment centers in villages, I have a feeling they will generate more wealth than the one who would plan to set-up entrepreneurship cells for the local youth! How is GE disrupting itself? Jeffery Emmelt, Vijay Govindrajan and Chris Tremble. The author is Chief Innovation Officer, Uniken. 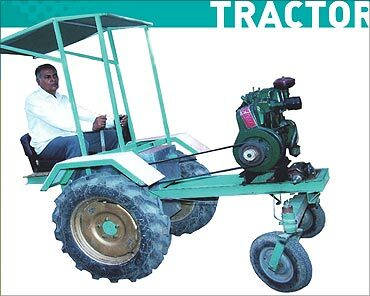 Image: Tractor without steering by Bachubhai. Over 100,000 amazing innovations from rural India! He is lighting up villages with rice husk!